Stretching canvas, the right way. Stretching canvas, how to handle the cheap canvas. I have a few photo's to show you what kinds of problems you are likely to encounter, (on 90% of store bought one's), and how to correct the issue. 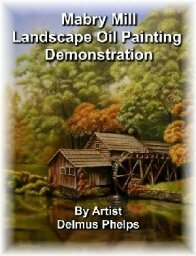 I also have found an excellent video, both in the act of stretching the canvas but in applying gesso afterward. It's at the end of the article. So lets get right to the point! 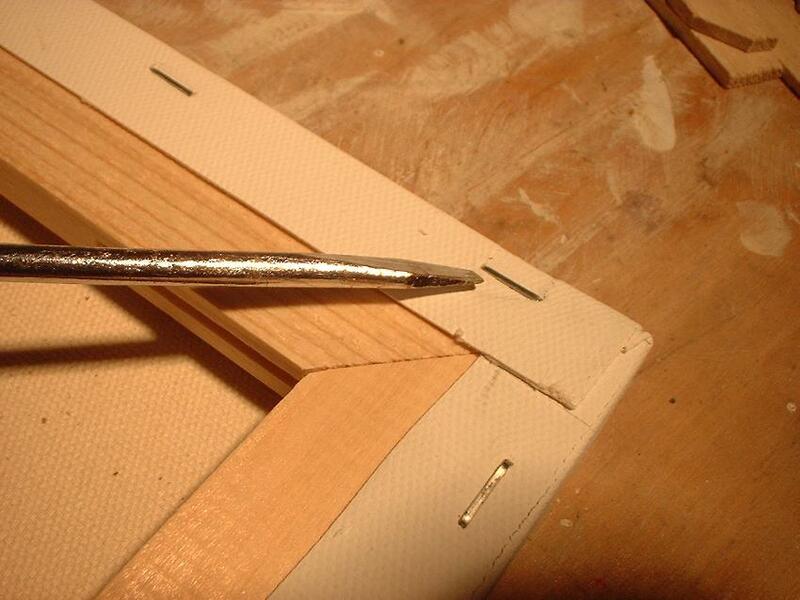 Now, do you see that staple the screwdriver is pointing at? It can cause you some real problems if you plan to stretch this canvas to make it tighter while you're painting on it. Why? Well look at the next 2 photo's. 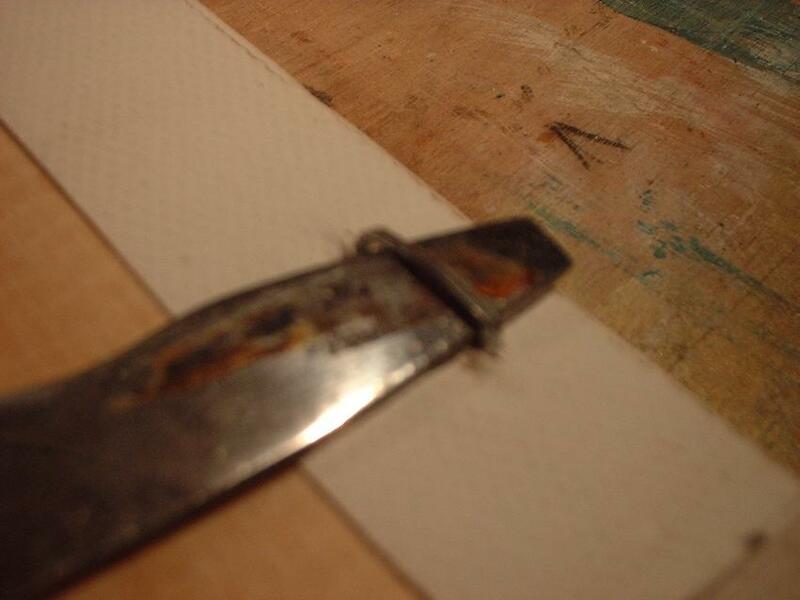 You can see the depth that the typical staple goes into these canvas's. Once they go beyond the first layer of wood, and catch the tenon, it will inhibit any movement of a part that needs to move! You'll be hammering the keys till the cows come home, and your canvas will still not tighten up! So what do you do? Don't get your nickers in a twist and read on. Read below for how make stretching canvas easy. Simply lift the offending staple. 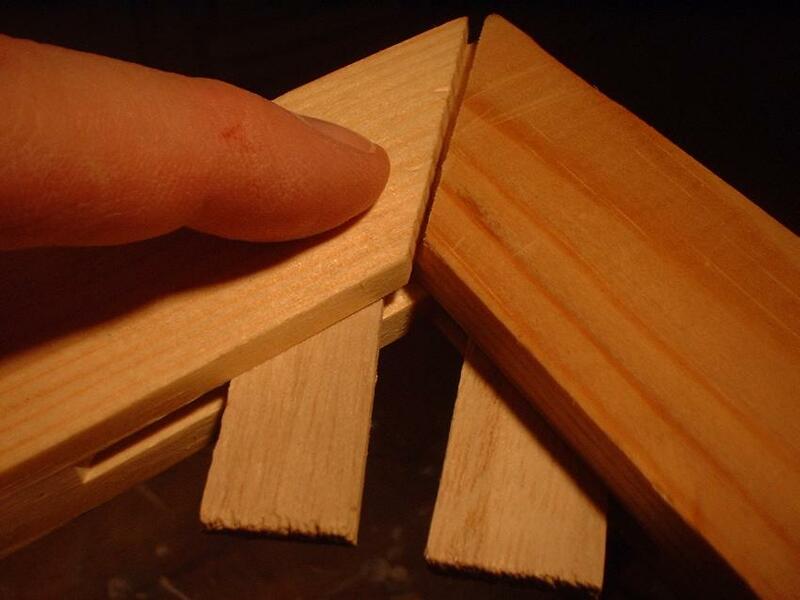 Not all the way, but about half way out in order for it to release the underlying tenon and allow the mortise and tenon joint to float (or move). 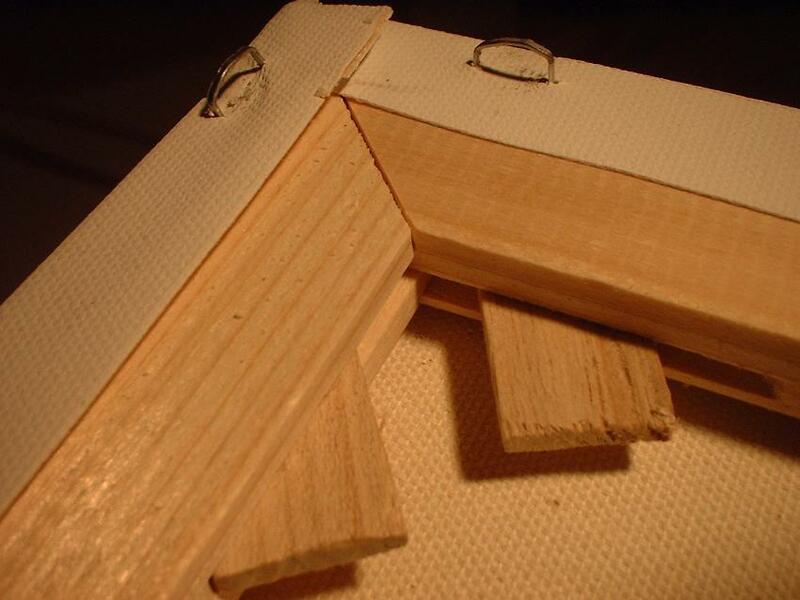 This photo (below) shows just the canvas stretcher bars without the canvas. 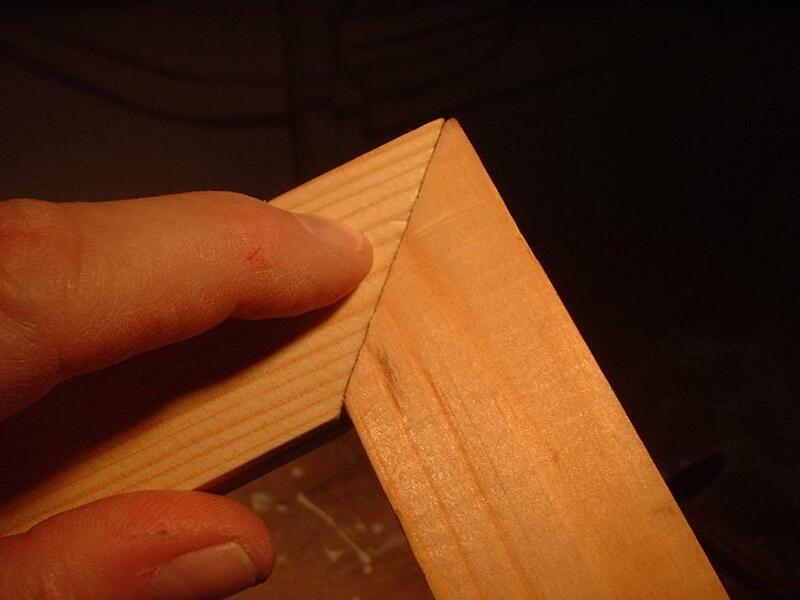 The joint is butted together tightly. 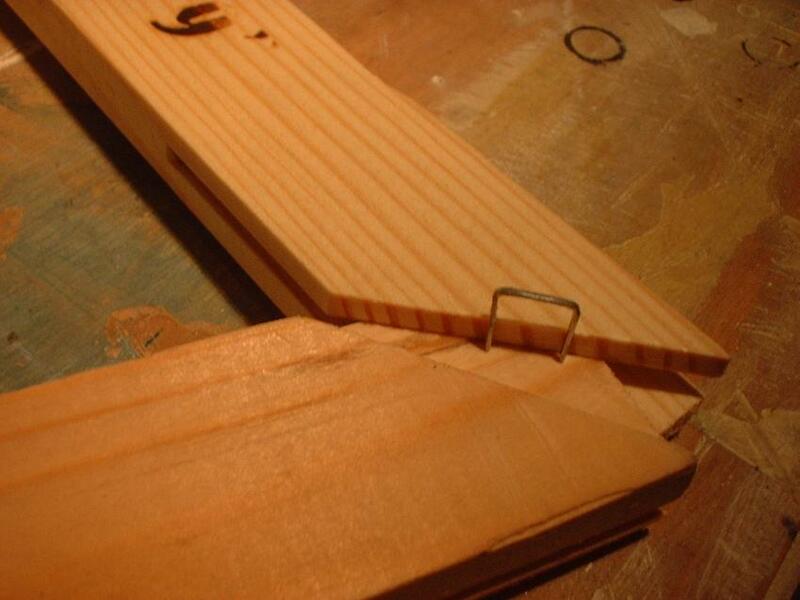 This photo (below) shows the canvas stretcher bars with keys inserted and the bars separated (exaggerated). This last photo shows the small amount of separation in a normally stretched canvas. It doesn't take much to really tighten the canvas like a drum! Always work from opposite corners, and then tap down your lifted staples to lock your stretched canvas in place, and keep the corners from crinkling due the lack of staple support. 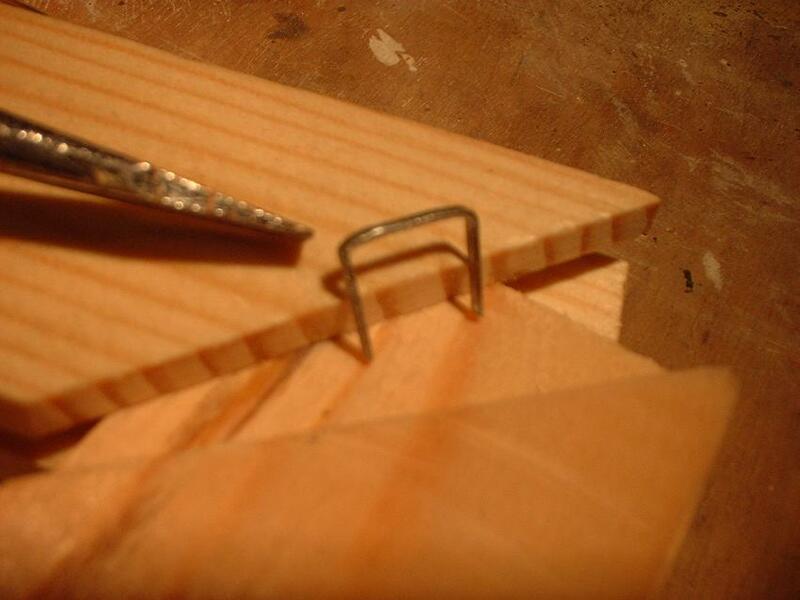 The ideal fix for the problem is to use a shorter staple or tack that doesn't reach the tenon. But don't worry if you don't have one. These small canvas's may only need stretching the one time after applying gesso because it's the only time you will be applying enough pressure to the weave to cause any slack to develop. Normal painting won't cause it to get loose in future. So stretch it once after you've finishes applying the gesso and sanding smooth, then your done! Now it's time to watch the video and then go out to play! Click here to head back up to the top of our expanded version of stretching canvas page.